Over the years, this educational mission has been realized in different ways such as various youth outreach programs, the support of St. Michael the Archangel High School, and a series of video lectures for high school students. These programs and initiatives have all played a role in the development of the Culture of Life Studies Program (CLSP), which continues ALL’s mission to equip the next generation of pro-life leaders with truth through education. CLSP is driven by five women who rely on the expertise and support of many others working behind the scenes. These women are Catherine Daub, the director who guides the team and works closely with Judie Brown to ensure that her vision is never lost; Mary Flores, the outreach coordinator who works hard to develop relationships and partnerships; Susan Ciancio who is the chief editor; and identical twins Laura Kizior and Mary Kizior, the content developers who research and develop products as well as maintain CLSP’s online presence via social media and blogging. It is this collaboration and the team’s desire to give God the glory that has made CLSP successful. In the short space of a year, the team has produced a robust array of books, CD ROMs, and related educational materials focusing on various pro-life topics. 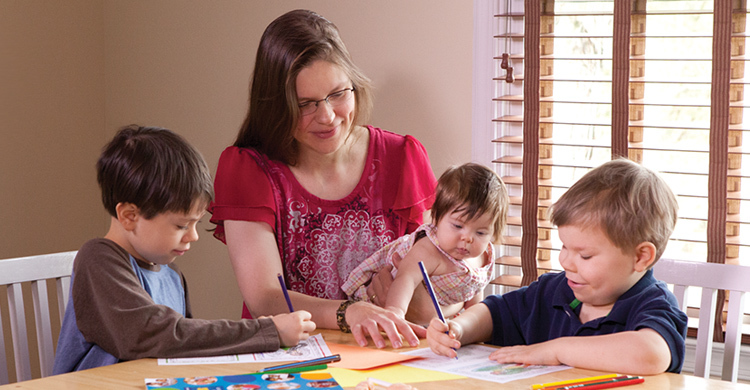 The materials are now being used by over 1,000 religious educators, homeschooling parents, and others interested in bringing pro-life education and truth to their communities. More join the fold every day – and more educational content is always on the way. CLSP’s first product, Life Is Precious, imparts the message to kindergartners, first and second graders that all life is sacred and deserves respect. It avoids mentioning abortion to respect parents as the primary educators of their children, and focuses on the miraculous development of preborn babies as well as the beauty inherent in each human being’s life. The CLSP team considers protecting the innocence of young children a top priority. A coloring book for preschoolers, The Miracle of Life Coloring and Activity Book was created to complement Life is Precious. The Culture of Life Studies Program is a set of educational materials designed to be incorporated into existing curricula or lessons – whether in a traditional classroom, religious education, home-school environment, or at-home. The program is organized into three separate levels: K-3, 4-8, and high school. Within the levels are five educational series – Life Primer, Life Foundations, Life Lens, Life Quest, and Life Scope. Each series contains multiple supplements and a unique teaching technique geared toward various audiences. The high-school level unit studies are in-depth. A forthcoming supplement on abortion law, which will be ready for release in the fall of 2016, dissects the two January 22, 1973 Supreme Court decisions decriminalizing abortion, Roe vs. Wade and Doe vs. Bolton. Another multimedia educational supplement entitled Who is Margaret Sanger? which will debut in June of 2016, explores the legacy of Planned Parenthood and its founder. Public interest in this particular topic was sparked by the undercover videos produced last year by the Center for Medical Progress. Beginning last year, the CLSP team started attending educator and homeschooling conferences to market its products. These conferences are held throughout the US and often draw thousands of attendees. Sometimes parents aren’t immediately convinced they needed educational material with a pro-life focus. As the program gains momentum, new materials are constantly in development to meet the growing needs of parents and teachers. American Life League President, Judie Brown spearheads each new project by connecting the CLSP team with pro-life subject-matter experts. The Culture of Life Studies Program has big plans for the future, which include the introduction of their first multimedia supplement series for high school students. A trailer for the team’s upcoming video on Margaret Sanger debuted at this year’s March for Life Conference, held January 21 in Washington, DC. It was clearly a hit among the high schoolers in attendance. “Our booth was very popular and the students were riveted by the video trailer,” says Mary Kizior. Teens at the conference had heard of Margaret Sanger but assumed she was a decent person. Their jaws dropped as they learned of Sanger’s depraved ideas and tyrannical agenda. The CLSP eventually plans to publish material online. It also hopes to broaden its focus. As a project of American Life League, both its educational content and marketing methods contain an explicitly Catholic focus. In the future, CLSP hopes to create versions of its materials that will work for all Christian teachers and parents. The team also recently attended a conference of Catholic religious educators. According to one elementary school educator, that diocese’s entire respect-life curriculum has to be shoehorned into one day.